AIM FOR ANSWERS: A melanoma diagnosis can lead to many unanswered questions. Aim for Answers makes finding the right information easier, by providing patients, caregivers and family members, with everything they need to know about melanoma. AIM FOR ACTION: Reach out to others with melanoma, share your thoughts, learn from others’ experiences, or get involved at any level you choose. AIM FOR THE CURE: Committed to the future, and to the goal of finding a cure. Find information here on important projects and their progress, as well as access to the latest research and developing treatments, including new and ongoing clinical trials. Through SPOT Skin Cancer™ the American Academy of Dermatology and its partners are working to reduce the incidence of and deaths from skin cancer over the next three decades. The American Melanoma Foundation mission is to: -	Raise public awareness and educate on the prevention and risks with melanoma. -	Provide patient education, advocacy and facilitate patient support groups. 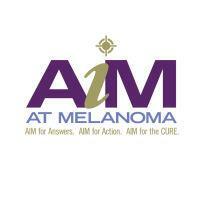 -	Advocate for the focus of research in melanoma. -	Fund early research & discovery programs for the treatment of melanoma The AMF strives to increase the general awareness of melanoma with the specific intent on reducing the incidence of this deadly, but preventable disease. We are a world leader in familial melanoma research. Our website contains a wealth of information about our research consortium and includes interactive materials for medical professionals, melanoma patients and their families, and the general public. To develop personalized strategies with patients so they may live longer, better lives. MRA is the largest private funder of melanoma research. To date, MRA has awarded nearly $48 million to 116 research programs to make transforming advances in the prevention, diagnosis and staging, and treatment of melanoma, including research in biological causes of carcinogenesis, skin screening, biomarkers, imaging, immunotherapy, molecularly targeted therapy, and combination therapy. To support medical RESEARCH for finding effective treatments and eventually a cure for melanoma. To EDUCATE patients and physicians about the prevention, diagnosis and treatment of melanoma. To act as an ADVOCATE for the melanoma community to raise awareness of this disease and the need for a cure. The National Council on Skin Cancer Prevention is a united voice to reduce skin cancer incidence, morbidity, and mortality through awareness, prevention, early detection, research, and advocacy. 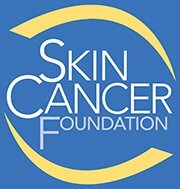 Since its founding in 1979, The Skin Cancer Foundation has set the standard for educating the public and the medical profession about skin cancer, its prevention by means of sun protection, the need for early detection, and prompt, effective treatment. It is the only international organization devoted solely to combating the world's most common cancer, now occurring at epidemic levels.